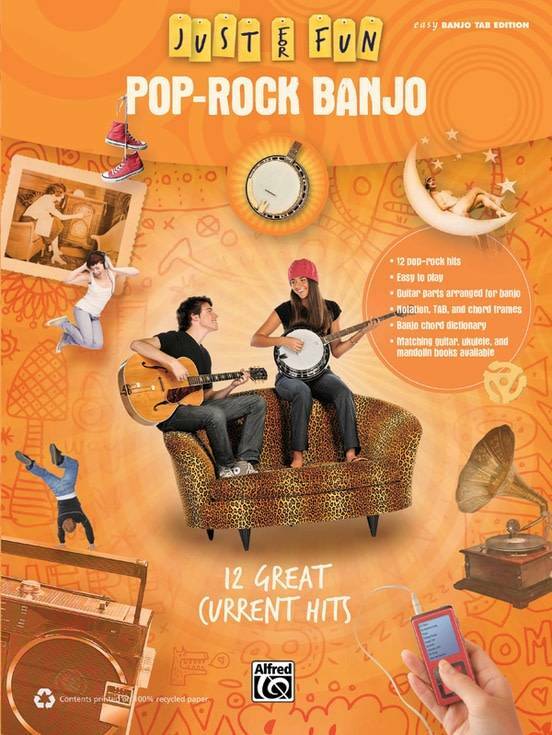 Pop-Rock Banjo contains 12 current hits songs. Pop-Rock Banjo contains 12 current hits songs. The songs are drawn from the actual guitar parts as played on the original recordings, often with exciting roll patterns included to add a banjo feel to the tune. They're arranged in a no-nonsense style that makes them fun, easy to play, and musically satisfying. Plus, matching guitar, mandolin, and ukulele books are available. Titles: 21 Guns * All Summer Long * Crazy * Falling Slowly * Forget You * Grenade * I Kissed a Girl * I'm Yours * Like We Used To * Marry Me * Need You Now * Rhythm of Love.